Fun, comfort, and adventure will all be discovered with the 2019 Dynamax Corporation Isata 3 24FWM! It's a highly reliable Diesel Class C Motorhome that's built for the long haul! You can find this motorhome and other top brand models at Motorhomes 2 Go! We're the leader in motorhome sales across the nation, and we're number one in customer satisfaction! Visit our lot at 7303 Division Ave S Grand Rapids Michigan 49548 and we'll turn your motorhome dream into a reality! Or, we'll bring this RV to you with our 24/7 delivery service across North America! Give us a call today at 616-301-6920 to start your motorhome lifestyle! No matter how far you plan to travel, this outstanding Diesel Class C Motorhome can take you there! It has a sturdy GVWR of 11030 lbs! Once you've reached your destination, you can sit back on a camping chair and enjoy the cool shade and protection of the 16' 0" awning! This RV has 1 slides, and is 24' 7" long and 8' 0" wide. You won't be hitting your head inside this motorhome, which has a height of 11' 5"! The 20000 BTU furnace and the 15000 BTU a/c maintain a nice and stable temperature inside! Keep your fresh food fresh with the kitchen's 7.00 cu. ft. refrigerator! You'll also find a 3 burner range cooktop, and you can fill the sink full of clean water from the 35 gallon freshwater tank. The bathroom comes with a roomy shower and a convenient Porcelain Foot Flush toilet. You'll have lots of hot water with the big 35 gallon fresh water tank and the LP tank capacity of 99 lbs! Never worry about making that trek to the cold, damp, noisy campground communal bathroom! The 32 gallon gray water tank and the 32 gallon black water tank that will discreetly store your used water and waste with no hassles! 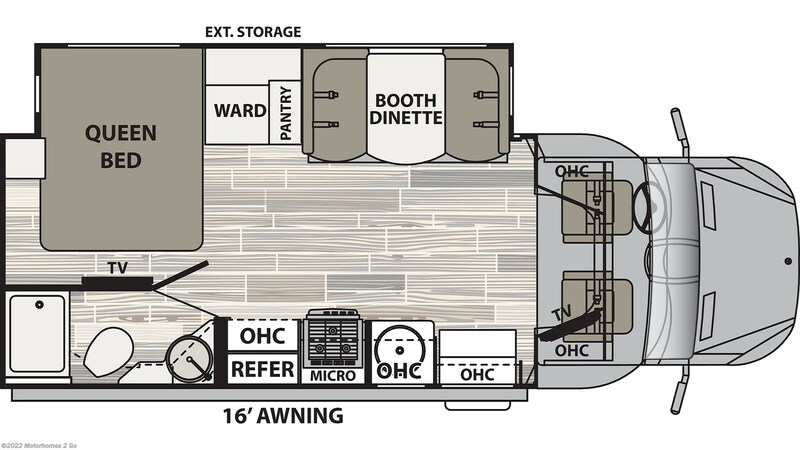 Check out Stock # 36285 - 2019 Dynamax Corp Isata 3 24FWM on dynamaxrvs.com!